Niwa Solar has released a new line of modular systems, which includes the Office 200 X2, the Home Run 400 X3, and 15 additional systems made up of components in the MSS – Modular Solar Systems product family. The modular design of these systems allows customers to upgrade to add new lights, batteries and solar modules as desired over time. The Office 200 X2 system is designed to provide bright light and mobile phone charging for an office or small commercial business. Four 50 lumen light points are included in the system. After a single day of solar charging, all of the lights can be run on the highest setting for over 4 hours. Each set of two lights can be dimmed or turned off separately to optimize energy use and increase the daily run time. The Home Run 400 X3 system includes three hanging light points and one portable light that each provide 100 lumens. The system also offers mobile phone charging and dimming switches for each of the light points. The MSS – Modular Solar Systems is the first product family to be tested as part of Lighting Global’s new Framework for Testing Product Component Families. Following this policy, over half of the individual components were tested, including those incorporated in the two systems described above. The family of products has been issued a Spec Book which presents the results of these component-level tests along with a list of all 15 kits that are now regarded to have passed the Lighting Global Quality Standards. 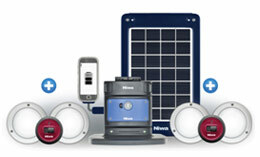 These MSS – Modular Solar Systems now join all of Niwa’s portable solar products, the Niwa Multi 300 XL, the Niwa Uno 50, and the Niwa Multi 100 Plus, in meeting the Lighting Global Quality Standards. 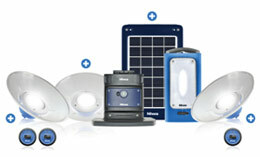 All of Niwa’s solar products offer a 2 year warranty and are CE, RoHS and REACH compliant.